Here is an easy way to capture some of your better wine nights and make them into an artful memory or at least a conversation piece for your next wine night! 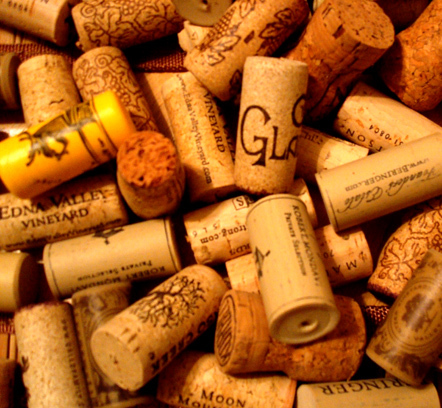 Start by collecting corks. Wine and champagne. I’d just swipe mine from the wine I drank with friends at my house or theirs and slowly built up a collection. Over time I just stuck them in a random drawer until I thought I had enough to actually do something with. The cool thing is you can start with however many you want and add to the art piece over time. 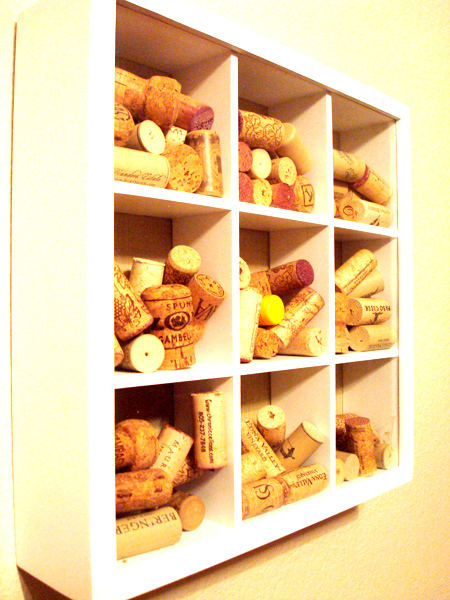 Next purchase or make a shadow box/display case that says something about the room you want to display the corks in. 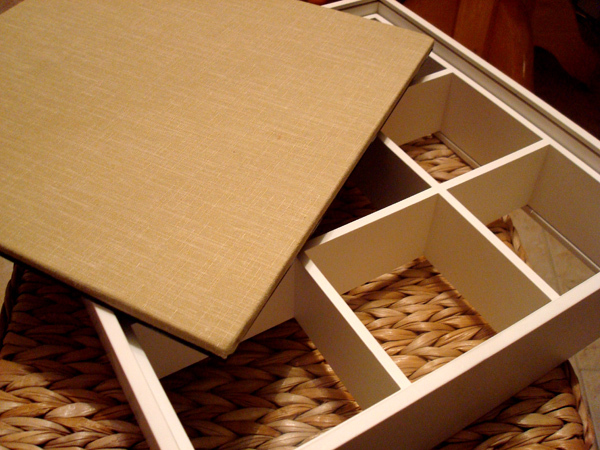 You can find finished boxes at stores that have home furnishing/picture frame sections or unfinished ones at craft stores. 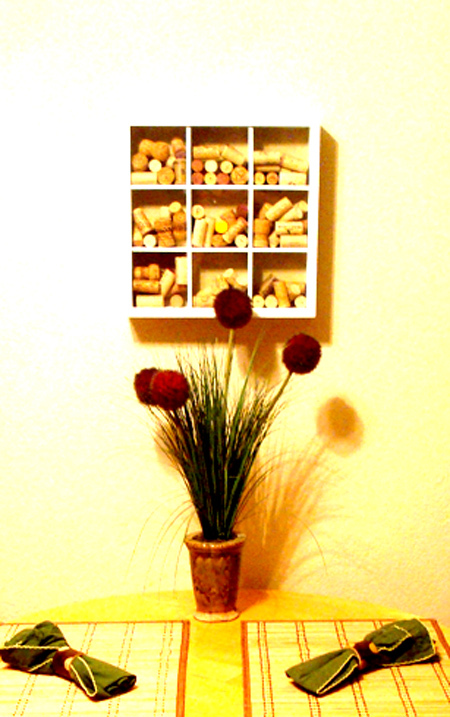 I chose this one because it is very simple and modern and I thought it would let the corks speak for themselves. I simply put the corks into the different compartments and overtime I have continued to add to the piece. I think it is fun because it leaves you with memories of when you drank the bottles with friends or on holidays. After my wedding my husband and I had a lot of corks left over from all of the wine and champagne we had purchased, parties are a great place to collect them. I think this makes a really unique and cool art piece and it’s eco-friendly! !